It’s hard for runners to slow down. There’s nothing more fun than running fast and knocking out a good, hard sweat session. How would you get faster without them? Unfortunately your body can’t handle strenuous workouts all the time without breaking down. Alternating challenging workout days with easy run days, or even more than one between, is the structure of any solid training plan. 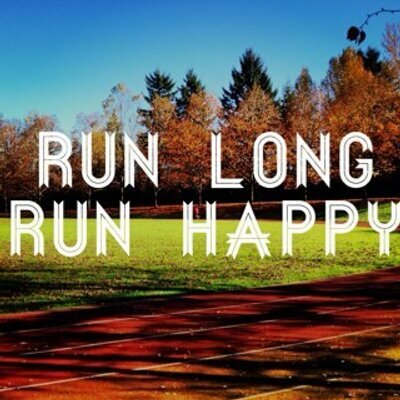 Here are three reasons Team ECRP loves their easy run days just as much as workout days. Build – You’ll build a foundation on easy run days. This foundation is how your body adjusts to the stresses of distance running over time. Easy running will help you earn stronger bones, tougher joints, improved running economy, develop slow twitch, fat burning muscles and increased aerobic capacity. Relax – Easy days are low stress. They’re for running with friends, checking out new routes or trails and forgetting the trials of the day. You need fast workouts to improve turnover, create more mitochondria and increase VO2max but those sessions aren’t exactly relaxing or fun. Easy days remind us why we love running. Recovery – Going fast is hard on your body. After tough workouts it has to repair damaged muscle, expand blood vessels and learn to process more oxygen. An easy workout helps clear out waste from muscles, improve circulation and might actually help speed muscle recovery. If you push all the time those processes never get to finish their jobs and you’re inviting over training and burnout. Easy or recovery runs give your body a chance to make all of the positive performance enhancing adaptations it can. The most important thing is to make sure your easy running is just that. Easy. Aim to be at least one minute slower than your goal race pace for the duration of an easy workout. As your fitness level increases it can become hard to slow the pace down. Keep the goal of each workout in mind and you’ll learn there’s no such thing as a ‘junk mile’. 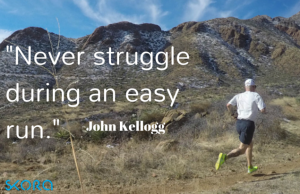 This entry was posted in Injury, Mental Toughness, Running and tagged long run, marathon training, recovery, running, training on March 18, 2019 by Coach Meredith. Every training plan includes a long run each week, ten days or two weeks. They can be six miles or 25 miles but they’re a part of any quality training plan. The aerobic benefits are massive while long runs also build mental strength and physical durability. Mixing up your long run by adding a different challenge to it can make training both more fun and more effective. Try one, or all, of these favorites from Team ECRP during your next training cycle. Slow + Steady. The regular long run, performed at an easy pace, holds the pace steady for its entire duration. This is the best type of run when you’re starting to increase mileage or tackling your first 20 miler. It strengthens your legs and your mind by making you push through the point of being tired. You’ll build resistance to feeling tired and teach your body to burn fat, our best source of stored energy. It also won’t leave you physically or mentally exhausted to the point that you aren’t up for it as often as you should be. The End. A fast finish long run simulates those final miles of a hard race. The last 10k of a marathon and the last kilometer of a 5k are both challenging when you’re going for a new personal record. A finish fast run will help build strength for late in the race, develop that closing kick so many runners look for and make you mentally strong. You’ll run the last few miles of your run at goal race pace or maybe the last 1.5 as hard as you can. For marathoners, this hard workout is also a chance to check in on fueling and hydration strategies for race day. The Race Pace. 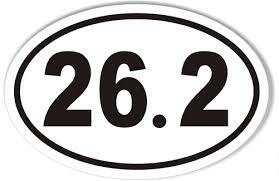 Running miles are your goal race pace is an absolute necessity but not all of your miles should be that speed. Adding them to your long run is another way to push your limits and adjust to feeling tired. After a proper warm-up, do some miles at race pace. Run a recovery mile then do more miles at goal race pace. Examples include 3-2-1 with a mile recovery between or, for marathoners, 5-4-3-2-1. Surge Run. This run is just what it sounds like. You get to surge every so often and run faster. Start these later in your run, after the halfway point. Pick things up to 5k pace for one minute then recover for five minutes. You can eventually lengthen the surges, decrease recovery time or add more repeats. Like the other long run variations, this type of workout will build strength, mental toughness and resistance to fatigue. No matter what kind of long run enhancement you choose, it will be a hard workout. Account for the mental and physical toll it will take in your recovery and upcoming training plan. This entry was posted in Mental Toughness, Racing, Running and tagged long run, marathon training, racing, running, training on October 30, 2017 by Coach Meredith. Easy running will help you earn stronger bones, tougher joints, improved running economy, develop slow twitch, fat burning muscles and increased aerobic capacity without beating yourself up. You need fast days to work on turnover, mitochondria and VO2max but easy running days are not necessarily ‘junk miles’ because you’re still working towards a goal. As long as each run has a purpose your time and effort is never wasted. That’s because going as fast as you can all the time is asking for trouble. Your body has to take care of itself after hard workouts. It has to repair damaged muscle, expand blood vessels and learn to process more oxygen. An easy workout helps clear out waste from muscles, improve circulation and might actually help speed muscle recovery. If you push all the time, those processes never get to finish their jobs and you’re inviting over training and burnout. Alternating hard and easy running workouts gives your body a chance to make all of the positive performance enhancing adaptations it can. The most important thing is to make sure your easy running is just that. Easy. Aim to be at least one minute slower than your goal race pace for the duration of an easy workout. As your fitness level increases it can become hard to slow the pace down. Keep the goal of each workout in mind when you’re out there feeling like you’re not accomplishing anything. Your body has to have time to adapt to training stimuli so you can ultimately increase your performance level. This entry was posted in Durability - Toughness, Racing, Running and tagged base phase, easy running, long run, running on January 16, 2017 by Coach Meredith.